In 1998, Jacksonville resident Shanara Mobley gave birth to her first child. The baby was kidnapped hours later, taken from her arms by a woman posing as a hospital employee. With no photos and few leads, the trail went cold quickly and stayed that way… until now. Eighteen years after her kidnapping, Kamiyah Mobley has turned up in Walterboro, South Carolina. 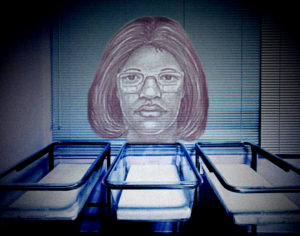 The woman who snatched Kamiyah from her mother’s arms in 1998, Gloria Williams, was found with her. The circumstances are certainly complicated, considering the fact that Kamiyah has been calling the now-arrested kidnapper “mom” for her entire life. Emotions for all involved are, in a word, emotional. For Kamiyah’s birth family, this is a time of jubilation. Not only has their daughter been found — she’s been found alive and healthy. After eighteen years, that’s just a miracle, plain and simple. Still, that’s just about the only thing that’s simple about the situation. The kidnapping happened on July 10, 1998. A mere eight hours after Kamiyah was born in the University of Florida’s medical center, Gloria Williams entered Shanara Mobley’s room wearing scrubs and a smock. Convinced by Williams attire and confidence, Shanara listened when Williams informed her that her baby was running a fever. And since fevers can be serious business when it comes to newborn babies, Shanara complied when Williams told her she needed to take Kamiyah to run some tests. Williams’s disguise also fooled Kamiyah’s grandmother (reasonably so), Velma Aiken, when they brushed shoulders in the corridor outside Shanara’s hospital room. Velma was the last person to see Kamiyah and one of the few to get a good look at her kidnapper, who immediately left the building with her purse over her shoulder and the baby in her arms. While Shanara and Velma were under the impression that Gloria Williams was a nurse, the real nurses thought Kamiyah’s kidnapper was another relative. According to hospital employees, Williams had been hanging around the hospital for about fourteen hours prior to the kidnapping. Nurses even recalled observing interactions between Williams and Shanara Mobley. To make matters worse, perhaps as bad as possible, the security camera in the nursery was broken. Gloria Williams presence was indeed recorded by other cameras, but these proved altogether useless due to the graininess of the footage. With no way to identify Williams, investigators were forced to rely on police sketches. Kamiyah herself had yet to be photographed. The only thing searchers knew to look for were a raised belly button and bruises on her buttocks — features not typically exposed in public. The odds of finding Kamiyah were obviously grim. Despite a $250,000 reward, a feature on America’s Most Wanted, and over 2,000 leads, law enforcement officials could find no trace of the missing baby. Of course, this explanation is unofficial. While Gloria Williams is pretty much definitely guilty of kidnapping and remains the only suspect, the case is still technically open. In other words, law enforcement is not yet at liberty to go into details about how exactly Kamiyah was found and how Williams came to be arrested. What we do know is that Kamiyah is Kamiyah, for sure. She’s been going by another name, Alexis Kelli, for her entire life, but DNA tests proved definitively that Alexis is Kamiyah. And we can assume that she’s pretty overwhelmed by all of this. After all, she was never abused or anything — she grew up with a family who loved her and she loved them back. In the first court hearing for Gloria Williams, Kamiyah told her that she loved her and would pray for her. And as a legal adult, Kamiyah will get to decide how she wants to proceed in terms of meeting her birth family and staying in touch with those who raised her. Charles Manigo, the man she thought was her father for eighteen years, is in a state of disbelief. Kamiyah’s kidnapping was far from a coordinated effort between him and Gloria Williams. He was incarcerated when Williams took Kamiyah from the hospital, and was fooled into thinking that she was his child because, according to local Jacksonville news outlets, Williams had indeed been pregnant. However, her own baby was stillborn, and it’s believed that her grief led her to Jacksonville where she kidnapped Kamiyah, promptly returning to her home in South Carolina where she passed the baby off as her own. As for Kamiyah’s birth family, they’re obviously in celebration. Her parents have already contacted Kamiyah via Facetime and are eager to reconnect with their long-lost child. Gloria Williams has been denied bond, charged with kidnapping and interference of custody. It’s possible that she could face life in prison for her crimes, if convicted. This is obviously the most extreme of potential outcomes for Williams, although penalties are sure to be severe no matter what. Since the kidnapping occurred in Jacksonville, Williams will be charged under Florida’s state laws pertaining to kidnapping. Florida classifies kidnapping as a first-degree felony, which can mean up to thirty years behind bars and fines that could amount to $10,000. However: since Kamiyah was under the age of thirteen when she was kidnapped, Williams’s crime almost certainly qualifies as aggravated kidnapping. This crime is punished by either life in prison or a twenty-five year sentence followed by lifetime probation. Here in Tennessee, the fact that Kamiyah was under the age of thirteen would mean Williams’s crime qualifies as “especially aggravated kidnapping,” which is a Class A felony.